As our loved ones age, it is important to make sure that we plan activities that keep them active and closely connected with the rest of their family. Perennial Angels understands that sometimes we run out of ideas and tend to do the same activities over and over. Today, we will look at some of the fun activities available for seniors and their family members in the Atlanta area. Contact Perennial Angels in Atlanta when you are looking for a personal care assistant, or at-home care for your loved one. We are here to help. Sometimes we all forget that we should look at the places where we live as if we were tourists. There are usually so many rich opportunities and experiences that pass us by because we look through the lens of a native rather than a visitor. If you have fallen into this trap, then let us help you explore some of the options you may have forgotten about. The Georgia Aquarium is located in Atlanta and features more than 10 million gallons of aquatic animals from oceans and rivers around the world. Whether you go to the dolphin show, enjoy the colorful clownfish, or learn about African penguins, there is something for everyone in the family to enjoy. The World of Coca Cola® is a wonderful place to explore the history of one of the world’s favorite soft drinks. You can enjoy a movie in the Secret Formula 4-D Theater, and sip soda to your heart’s content in the Taste It! Room. It is wheelchair accessible and there are wheelchairs available for rent at the ticket booth should you need one. There is so much to see and explore at this tourist spot, you will wonder why you haven’t taken the time to visit it before! Make sure to take a lot of pictures that you can share with your extended family and friends. Due to the “America the Beautiful” National Parks & Recreational Lands Pass Program, seniors now have the ability to enjoy discounted access to national parks across the country. Some locations in Georgia that you will want to visit with the whole family are the King Center and Chattahoochee River National Recreation Area in Atlanta, the Chickamauga & Chattanooga National Military Park in Fort Oglethorpe, and the Fort Frederica National Monument on St. Simons Island. There are so many opportunities to learn about the history of our country in Atlanta, so be sure to add these locations to your list of things to do. Age should never be a reason to stop exploring and learning. 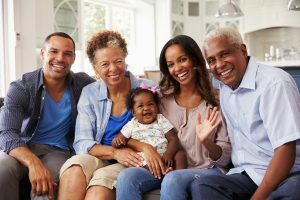 Perennial Angels want to help you make the most of your time with your loved one, which is why we put a list together of some of the fun activities available in Atlanta that your whole family can enjoy. We are here to help you find ways to enjoy your time with your loved ones. Call our team of caregivers to learn about the services that we offer to seniors in the Atlanta metro area.